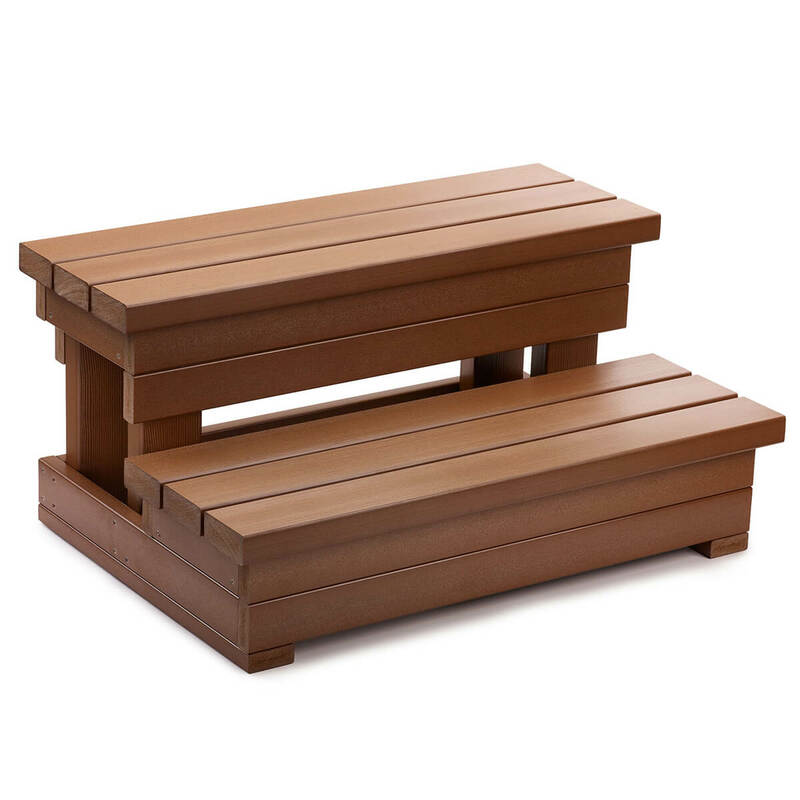 Made from rigid polymers, this heavy-duty, wear-resistant step makes it easy to step in and out of your spa. 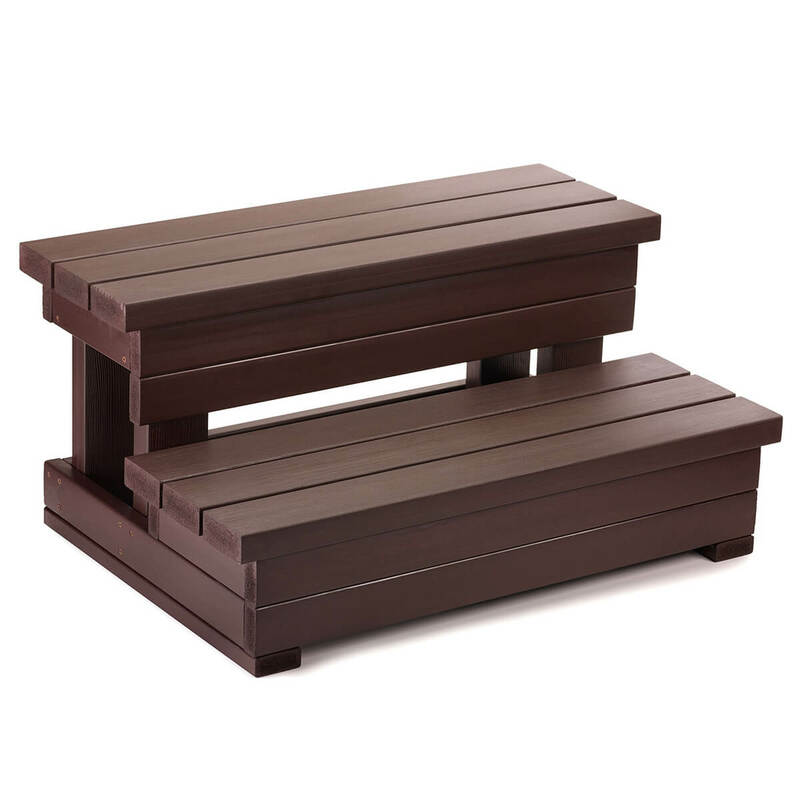 Designed to match the Everwood cabinet, this step features rich colors and a natural wood appearance. Available in Coastal Gray, Teak, Monterey Gray, Mocha and Espresso.